Getting out and about is so easy. 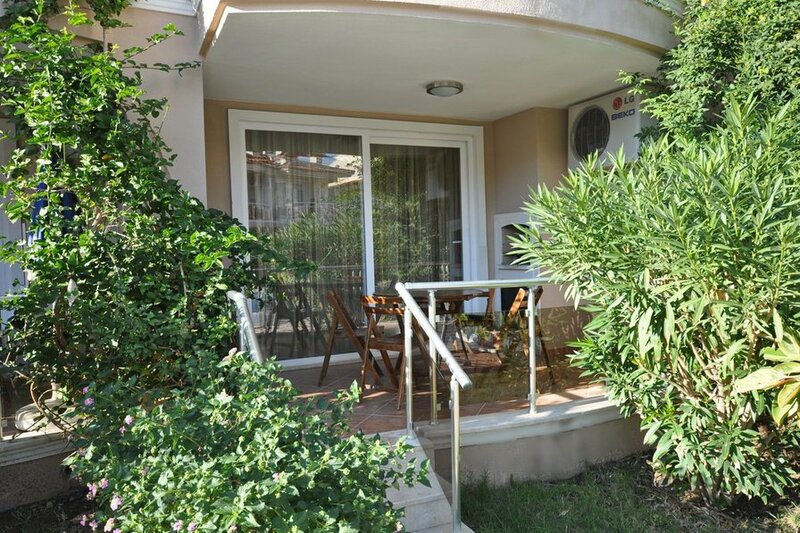 You can catch the local Dolmus (just outside the complex) into the town of Fethiye or from Calis centre you can take a nice cool trip there by the water taxi. The bustling town of Fethiye is 7km away (around a 10 minutes' drive.) The beautiful yacht filled marina attracts a lot of people whether it be for a walk to admire the views or to enjoy a refreshment in one of the welcoming cafes. You can literally shop till you drop in Fethiye... Jewellery shops, clothes shops, shoe shops, handbag shops and so many more. You can find an amusements and a cinema located in the shopping mall also. - Children's mini play area is located on the private section of the beach.